Happy Weekend! We are just finishing up a week of Spring Break during which we did…..nothing in particular! My kids were so happy just to have a break from their normal schedule, and to be able to PLAY all day! I *might* try to muster up the motivation to go to Ikea (because let’s face it–going to Ikea is an EVENT) to get a few things for our new LWSL office, but other than that, I’ve got nothing planned besides getting caught up on some reading. What are you up to this weekend? Speaking of good reads, if you haven’t checked out my friend Michele Cushatt’s book Undone, which came out on Monday, it is seriously a must read. You can read a sample of the book here. 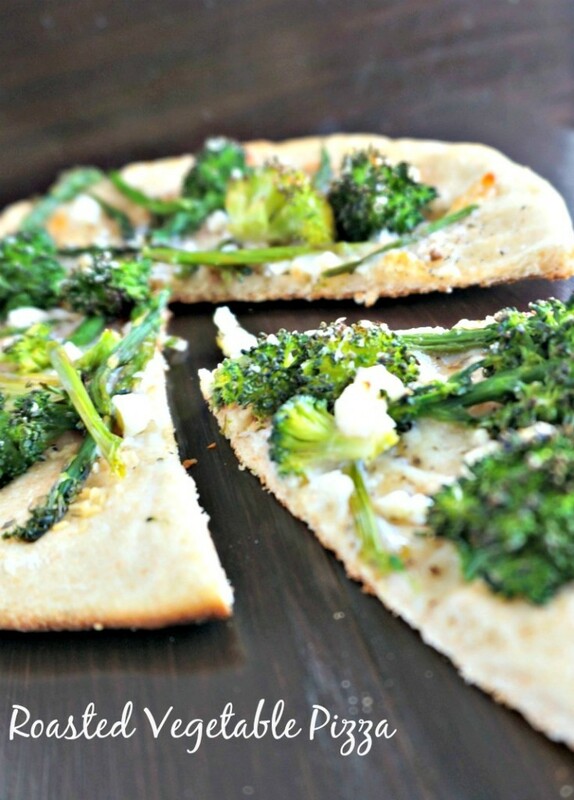 First of all, this Roasted Vegetable Pizza from A Mind Full Mom looks SO good! It would make a great vegetarian option to serve on St. Patty’s Day! 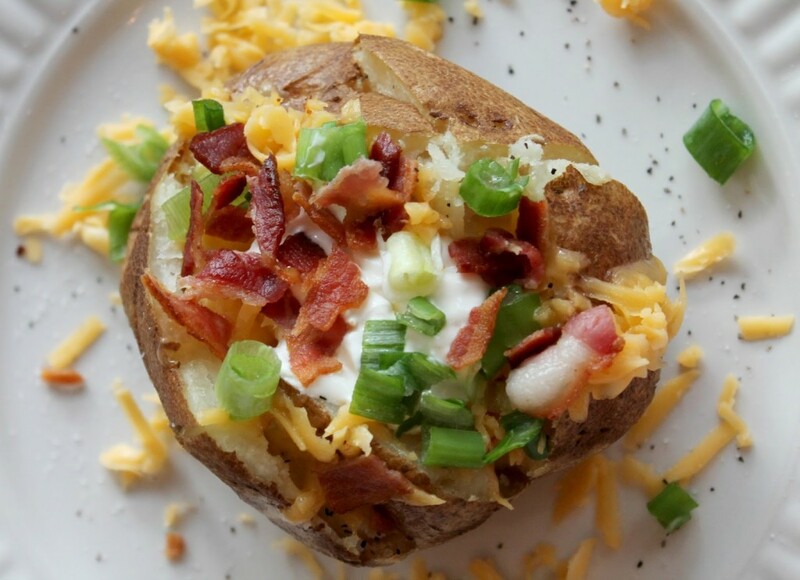 These Loaded Baked Potatoes from The Little Farm Diary would also make a great meal! 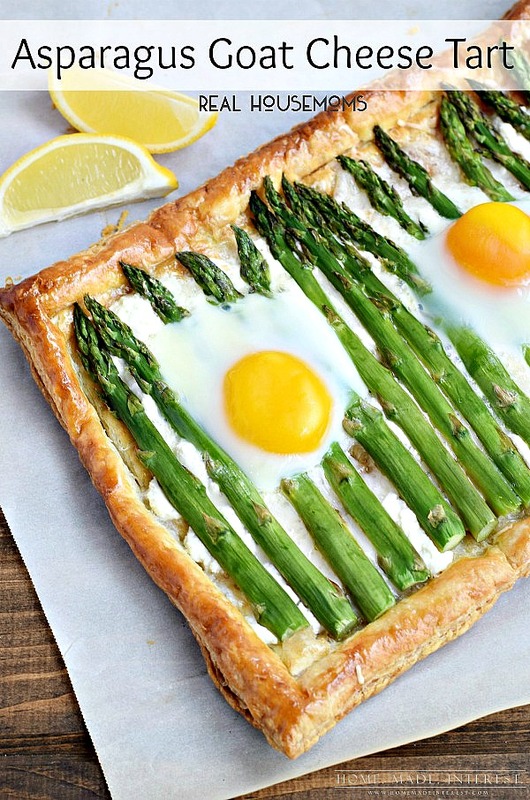 This Asparagus Goat Cheese Tart from Home Made Interest could be the perfect addition to your Easter brunch menu! 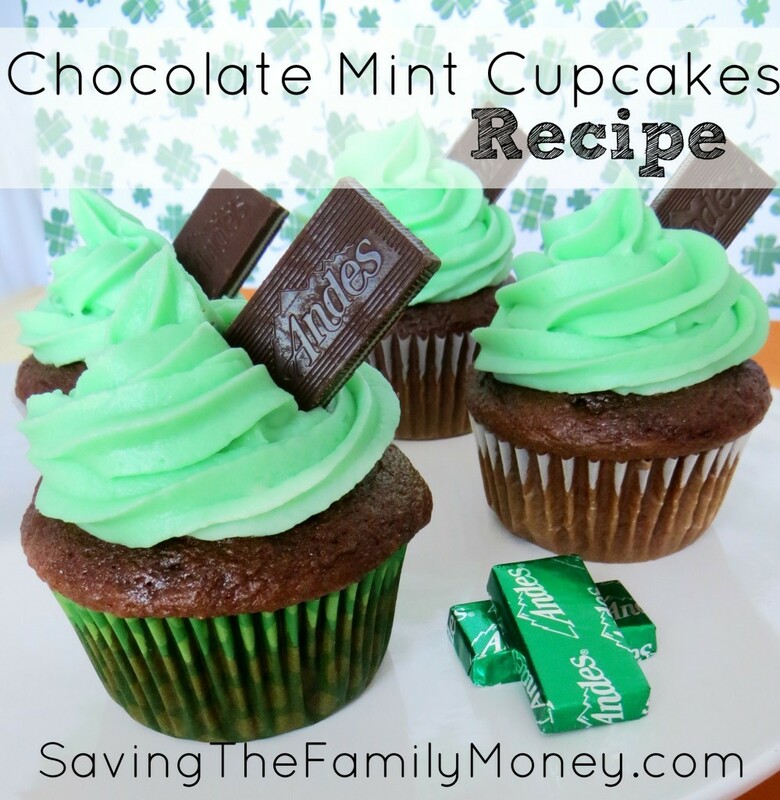 Onto some yummy sweets…this Chocolate Mint Cupcake Recipe from Saving the Family Money combine my two favorite flavors! 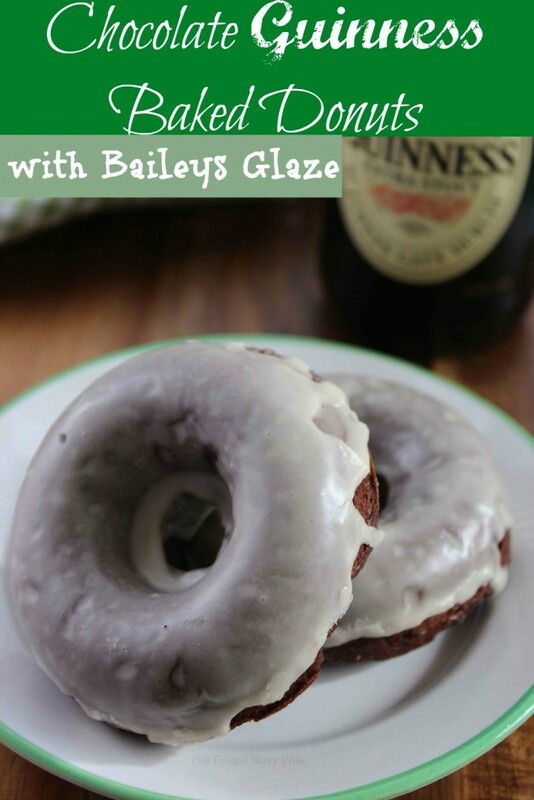 These Chocolate Guinness Baked Donuts with Baileys Glaze from The Frugal Navy Wife sound absolutely heavenly! 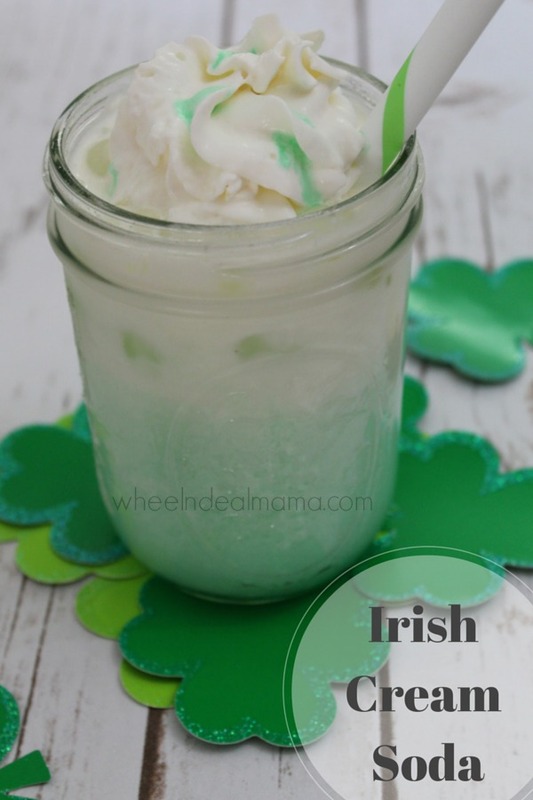 This Irish Cream Soda from Wheel-n-Deal Mama would be a fun festive drink for the kids! 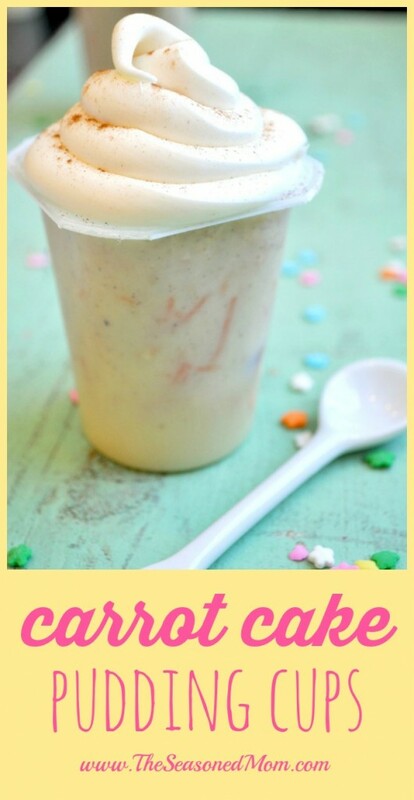 These semi-homemade Carrot Cake Pudding Cups from The Seasoned Mom come together in minutes and would be a fun way to usher in Spring! 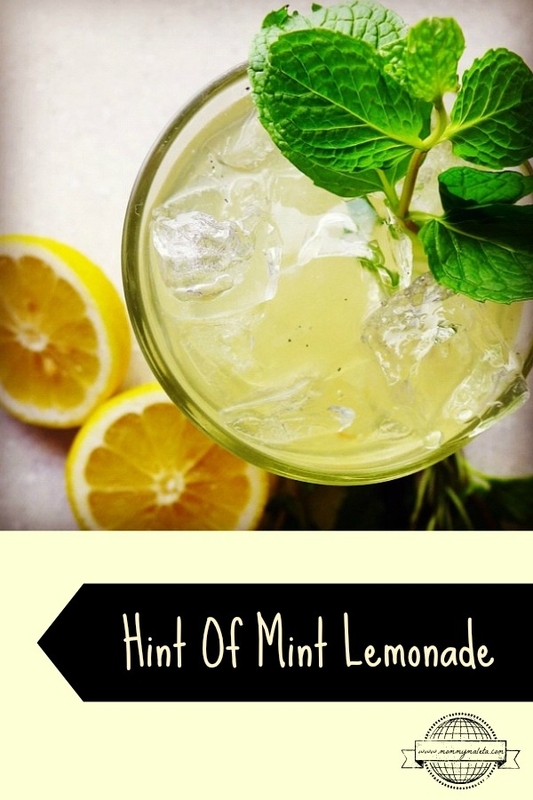 This Hint of Mint Lemonade from Mommy Maleta sounds so refreshing! 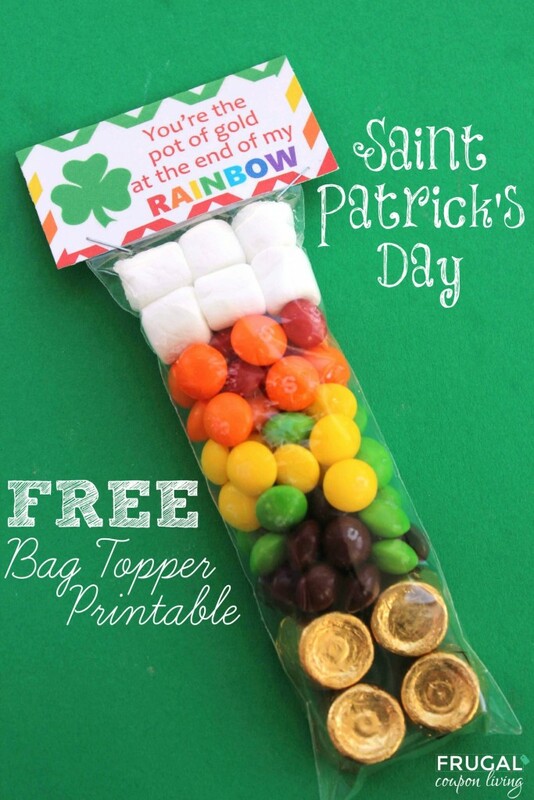 This Free St. Patrick’s Day Bag Topper Printable from Frugal Coupon Living is an easy way to make a FUN treat bag! 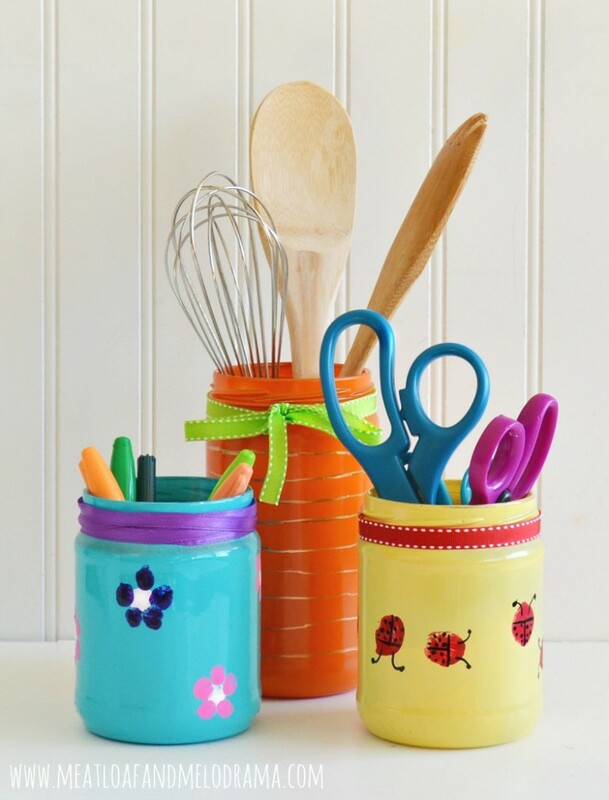 These Painted Jars for Spring from Meatloaf and Melodrama are a great way to up-cycle some old glass jars and add a splash of color to any room! 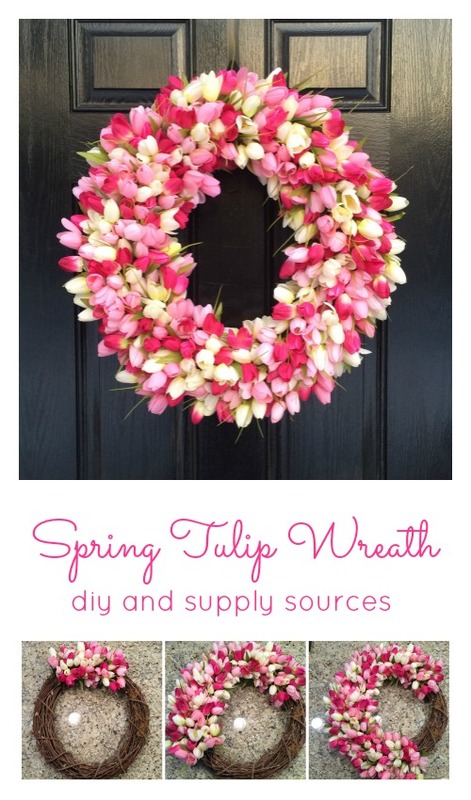 This DIY Spring Tulip Wreath From The Family With Love is beautiful & comes together in an afternoon! Saving money is always in season. Earning & Saving With Sarah Fuller shares 10 Ways to Save Money This Spring. We’ve been working hard on tips 1 & 2! 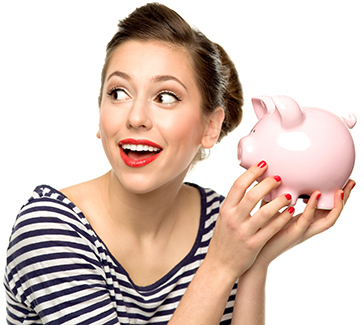 Financially Wise on Heels shares 5 Simple Ways to Reduce Your Monthly Expenses. Tip number 3 can save you some serious cash! 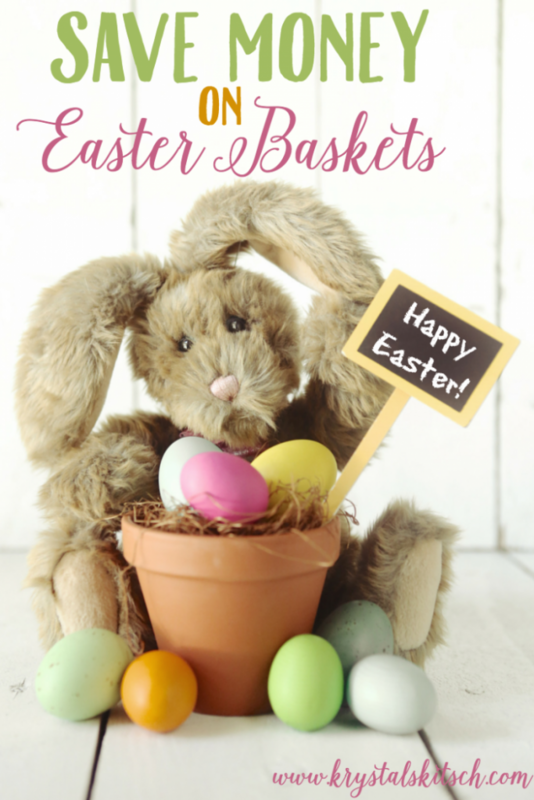 These 7 Ways to Save Money on Easter Baskets from Krystal’s Kitsch are easy & practical! 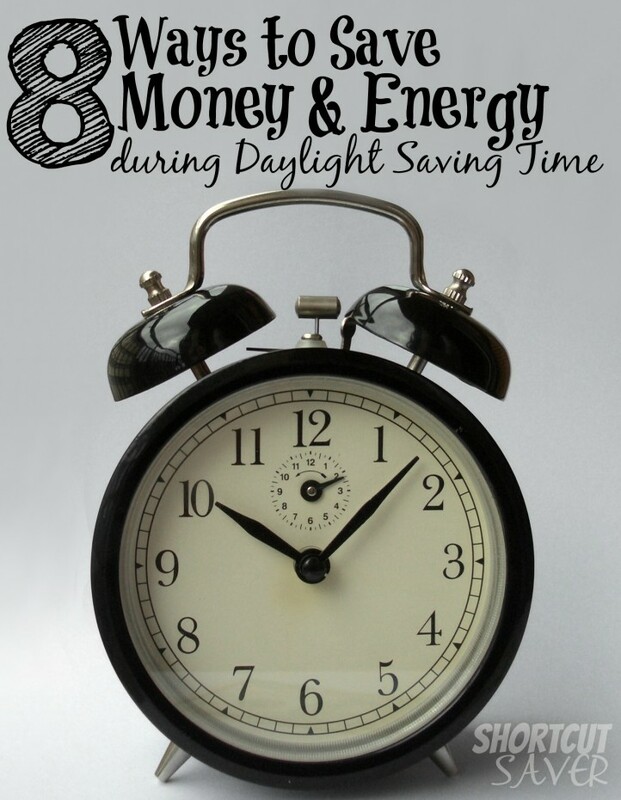 Finally, Shortcut Saver shares 8 Ways to Save Money & Energy During Daylight Saving Time. Number six might be pretty difficult for me! Good for you for just enjoying NOTHING for Spring Break. It is great to rest and relax and let kids just be kids. Enjoy that time! Thank you very much for featuring my 5 Simple Ways to Reduce Your Monthly Expenses! 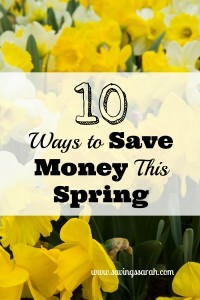 Ruth, thank you so much for featuring10 Ways to Save Money This Spring. Had so much fun putting this list together and thinking about spring being on the way.